A philanthropic tour offering us the chance to contribute to the Phuket Sunshine Village Foundation and help children in need. There will also be time for a cultural visit to the Thai Hua Museum to learn more about the history of Phuket, lunch in a restaurant and a break for some shopping. After leaving the port, we will head to the Phuket Sunshine Village in the district of Siray, where the Foundation is based. This non-profit organisation cooperates with other charitable associations and has been active since 2005. It offers minors protection from physical, mental and sexual abuse, provides information on human rights and helps them to access education and public health services. Following the tsunami that hit Phuket in December 2004, a project has gradually taken shape on the initiative of the local Lions Club to create a village to house children that were affected by the tragedy, which has since become a shelter and protection centre for children in need. Once there, we will visit the village and have the chance to interact and play with the children. After leaving the village, our tour continues with a visit to one of the best museums in Phuket, the Thai Hua Museum, to learn more about the city’s history. 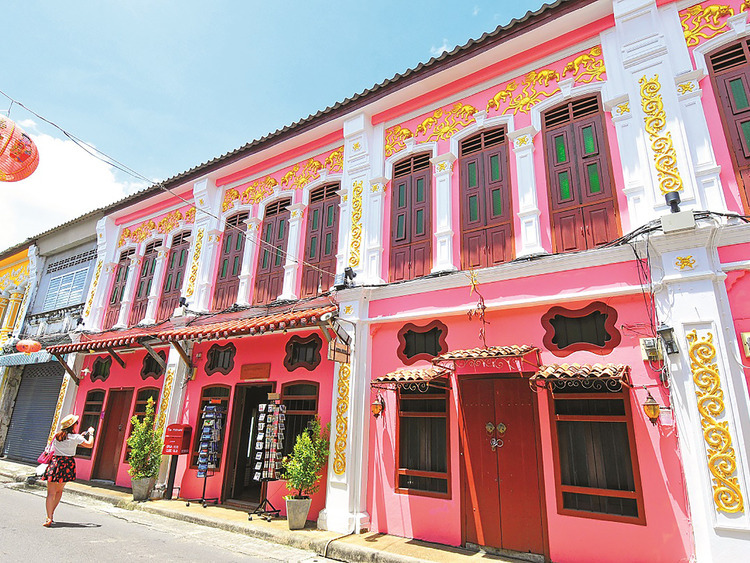 Established in 2010 using disused buildings from the oldest Chinese school in Phuket, it displays objects and materials illustrating the history of Chinese immigration and its significant subsequent influence on the cultural and economic development of the island. After visiting the museum, we will enjoy a short sightseeing tour of the city and admire some exquisite Sino-Portuguese buildings. When we start to feel peckish, we will be served lunch in a local restaurant. After lunch, we will have some free time for a spot of shopping to buy souvenirs, Thai silks, semi-precious stones, T-shirts and handbags before we return to the ship. The price of the excursion includes a €10 donation to the association. It is not permitted to take photos of the children during our visit to the Phuket Sunshine Village.